Hey there! Today's creation is one I got to make just for fun to enter a few challenges! I was inspired by tonight's gorgeous full moon to color up this A Day For Daisies image of the same name. I used my Copics and then fussy cut her so I could mat the image on top of one of the Dizzy Duo Die-namics from My Favorite Things. Papers are DCWV's The Spooky Stack. I love the colors and patterns in this pad! I added a few flowers, a die cut branch with leaves, and a sentiment stamped on one of the Fishtail Flags Die-namics (also from MFT). 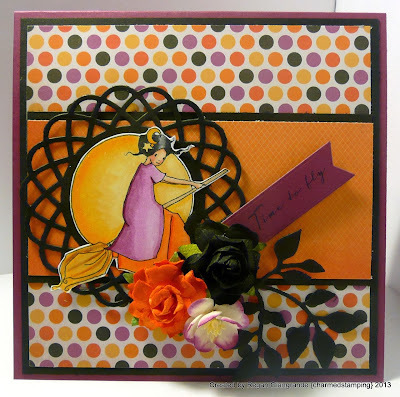 The sentiment itself is Waltzingmouse Stamps. It's from a set called Gracie at Halloween. My layout is based on sketch #85 over at Cardabilities. I fell in love with this beautiful design as soon as I saw it! It's hard to believe Halloween is less than two weeks away! I have lots of projects planned to keep me busy plus there will be frightfully fun activities with Kayne to look forward to! It kicks off tomorrow with the Great Pumpkin Fest! I just adore this time of year!!! Markers used: Copics (E00, E11, E21, E23, E31, R32, RV63, RV66, RV69, Y32, Y35, Y38, YR02, YR04, YR07, N2, N4, N6, N8). 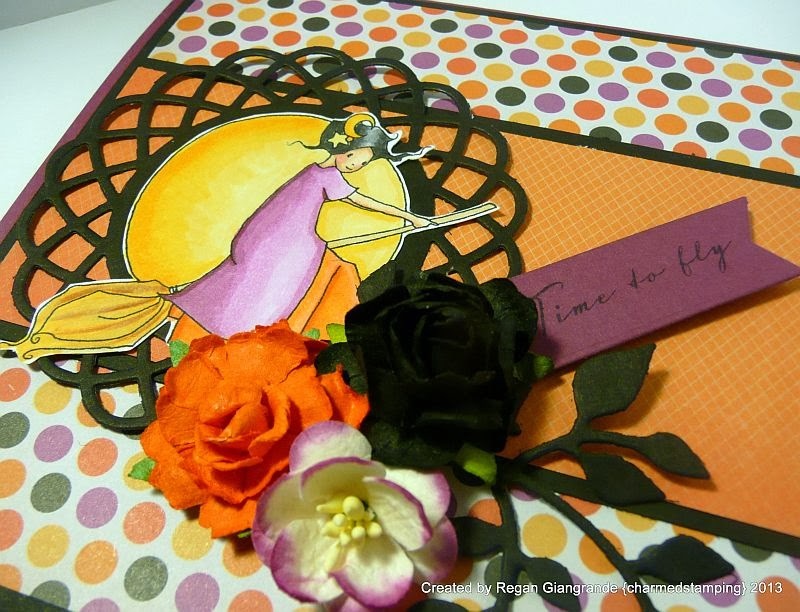 Hi, Regan: I love your Halloween colors on your card---cute image! thanks for joining in our challenge. how lovely! 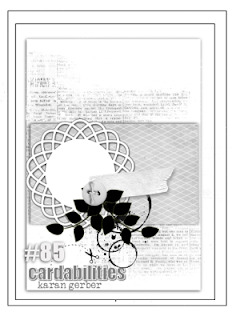 thanks for playing along at Cardabilities! 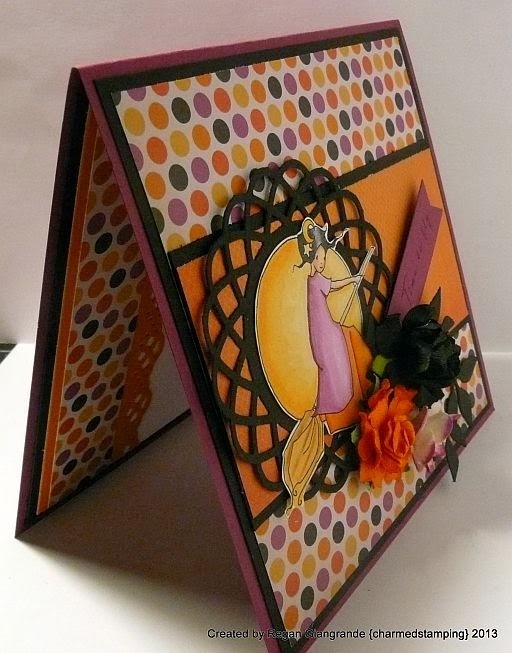 What a wonderful card both inside and out. Thanks for joining us at ADFD.